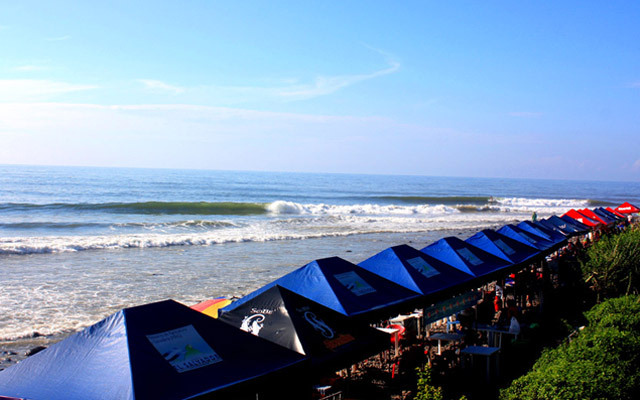 EL SALVADOR ISA WORLD MASTERS SURFING CHAMPIONS TO BE CROWNED TOMORROW! WATCH THE FINALS TOMORROW AT 10am local time (9am PDT – 12pm EDT). ATTENTION an updated Surfline Forecast indicates a swell increase for Sunday afternoon. As a result, the final day will begin two hours later than usual. USA, Brazil, Puerto Rico, Hawaii and South Africa are the leading contenders to take home the ISA Eduardo Arena World Team Trophy of this historic El Salvador ISA World Masters Surfing Championship, which ends Sunday at Punta Roca. Ten surfers, two from each of the five divisions, have secured a spot on the podium after placing first or second in the Main Event finals. They are: Gary Van Wieringen (RSA) and Ross Williams (HAW) in Masters (+35); Juan Ashton (PUR) and Jojo de Olvença (BRA) in Grand Masters (+40); Tom Curren (USA) and Jim Hogan in Kahunas (+45); Nick Pearson (AUS) and Allen Sarlo in Grand Kahunas (+50); and Layne Beachley (AUS) and Heather Clark (RSA) in Women Masters (+35). All of them will compete tomorrow in the final for the World Title. Van Wieringen, the only surfer in the Masters Main Event Final who doesn’t have a past in the ASP World Tour, ended up winning today’s qualifying heat. Williams finished second, Jojo de Olivença (BRA) third and Davey Gonsalves (HAW) fourth. Third and fourth fell to the Repechage Final. The South African’s strong frontside attack earned high marks from the judges as he scored 13.66 (7.83+5.83). “I’m very happy to be in the final. I have been feeling better in every heat. Let’s just hope I can keep it up all the way. I’ve been competing for long enough so I know how to deal with pressure,” said Van Wieringen. Three-time ISA World Champion Juan Ashton (PUR) had another clear victory, posting a combined total of 14.84 (8.67+6.17) to leave Jojo de Olivença (BRA) in second, Fabio Gouveia (BRA) in third and Dean Randazzo (USA) in fourth. Once again the winner of the heat was the only one that was never part of the ASP World Tour. A great Team USA victory was led by Tom Curren and Jim Hogan, who placed first and second respectively in the Main Event Final. Mike Latronic (HAW, third) and David Malherbe (RSA, fourth) dropped to the Repechage Final. Nick Pearson (AUS) and Allen Sarlo (RSA) sent three-time ISA World Champion Chris Knutsen (RSA) and Javier Gorbea (PUR) to the Repechage. Pearson, who came as a last-minute substitute for the 1978 World Champion, Wayne “Rabbit” Bartholmew, gave an amazing performance throughout the entire event and won a clear victory today. A different story took place on the Repechage “sudden death” rounds with a marathon of heats. Some athletes surfed three times today and those who made it through are now one step away from the Medals in the Repechage Final. They are: Masters Mark Richardson (AUS) and Carlos Cabrero (PUR); Grand Masters Santiago Di Pace (ARG) and Andre Malherbe; Kahunas David Husadel (BRA) and Sergio Penna (BRA); Grand Kahunas Craig Schieber (CRI) and Jean Labrucherie (FRA); and Women Masters Andrea Díaz (CRI) and Alissa Cairns (USA). As the El Salvador ISA World Masters Surfing Championship comes to a close tomorrow, history will once again be written by the world’s best Masters surfers. The International Surfing Association (ISA) is recognized by the International Olympic Committee as the World Governing Authority for Surfing. It was originally founded as the International Surfing Federation in 1964 and has been running Open Division World Championships since 1964, Junior World Championships since 1980, and Masters World Championships since 2007. The ISA also sanctions the World Kneeboard Titles and the Tandem Surfing World Title, and will hold the first World Bodyboard Championship in 2011, and the first World Standup Paddle (SUP) and Paddleboard Championship in 2012. ISA membership includes the surfing National Governing Bodies of 69 countries on five continents. Its headquarters are located in San Diego, California. It is presided over by Fernando Aguerre (Argentina), first elected President in 1994 in Rio de Janeiro and re-elected seven times since. The ISA´s three Vice-Presidents are Alan Atkins (AUS), Karín Sierralta (PER) and Debbie Beacham (USA).